Close We guarantee satisfaction. You may return your One World Futbol within 30 days of purchase for a replacement ball or your money back. If, within one year of purchase, your One World Futbol becomes unplayable in the course of normal wear and tear in recreational use by people, we will replace the ball. Please email us with photos of the damaged ball with a description of the damage, the terrain on which it was used and the act that caused the damage, if any. One World Futbols are sometimes purchased as toys for pets, but the ball was not designed for animal play. We cannot replace a ball damaged by a pet. Chest (in) 19.5" (Bust) 18" 20" 22" 24" 26"
Body Length (in) 26.5" 28" 29" 30" 31" 32"
Sleeve Length (in) 15" 16.75" 17.75" 18.75" 19.75" 20.75"
Chest (in) 19" (Bust) 20" 21" 22" 23" 24"
Body Length (in) 25" 26.5" 27.5" 28.5" 29.5" 30.5"
Sleeve Length (in) 32.25" 33.5" 34.75" 36" 37.25" 38.5"
Zehandi Missions is running this campaign with One World Play Project to raise ultra-durable One World Futbols, soccer balls that never need a pump and never go flat, for recipient organization. One World Futbols are needed because the surfaces that children play on in Malawi are very rough and harsh. Standard soccer balls deflate and become unusable very quickly, which prevents children from playing. 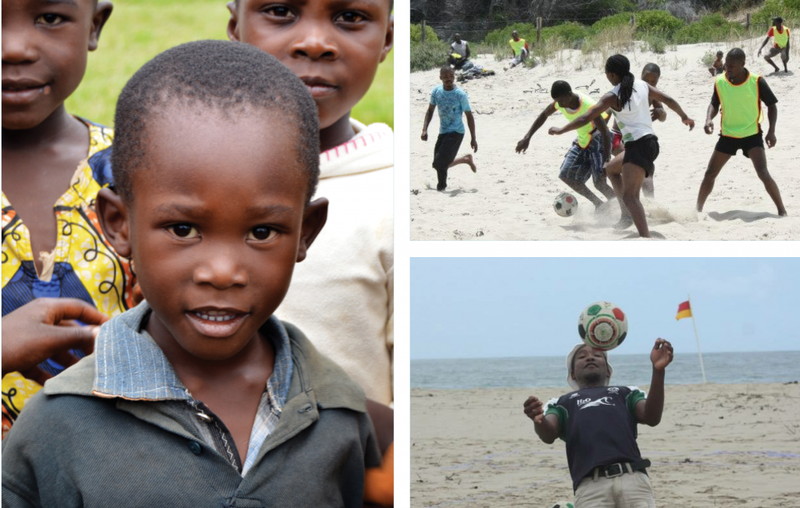 One World Futbols will last much longer and will allow children to play as long as they want. You can learn more about Zehandi Missions on our website and Facebook page! Help us make a difference, and support our campaign today! 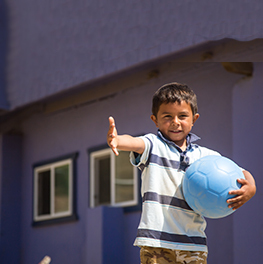 Through the Give Balls program, you can buy a One World Futbol for $28 USD that will be given to Zehandi Missions. Through this campaign, we want to raise more than 50 One World Futbols. Make a difference & share play with those who need it most.